AccuraForm is a versatile press brake designed to be utilized in low to medium volume/medium to high mix environments. 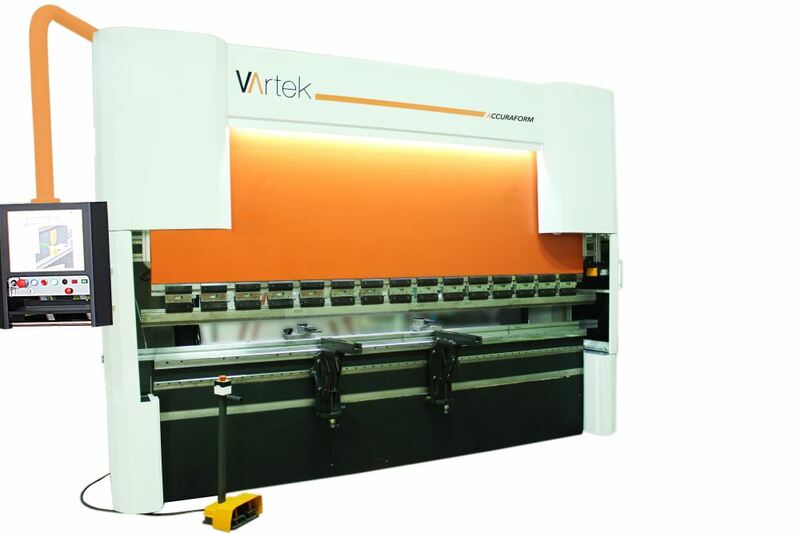 It is an ideal press brake for customers that need frequent setups for their production but do not run products with uneven flanges or tapered edges that would require a six axis backgauge. Whether you want to form a part by air bending, bottoming or hemming, AccuraForm’s advanced angle calculation formula, precise servo hydraulic system and electronic linear scales ensure you get the right part every time. The editable material database on AccuraForm lets you add as many material as you want and even allows you to enter the springback of the material so the control can autocorrect angles to compensate for springback.